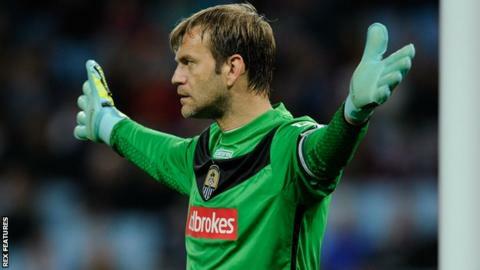 Notts County manager Ricardo Moniz has said he is not tempted to drop Roy Carroll after the goalkeeper's blunder against Cambridge United. The veteran keeper kicked the ball at U's striker Ben Williamson when the score was 1-1 during Saturday's match and the ball rebounded over the line. Moniz told BBC Radio Nottingham: "For Carroll I would go through a wall. "He made a mistake but with mistakes we can drop all of us. We support each other. That's the philosophy."